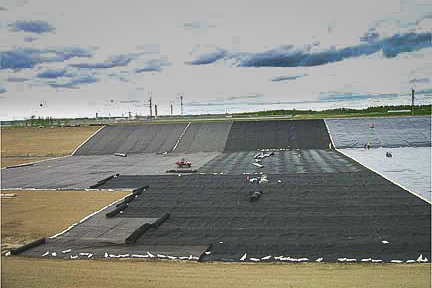 Draining water from soil structures is a key use of geosynthetics and many different materials have been created to promote drainage. From geotextiles used to wrap french drains to prefabricated vertical drains installed by our service group we can assist you in getting the right drainage for your project. Availability of drainage products varies by location. Please check with your local Layfield location to see which drainage materials are available. We can also special order drainage materials so let us know what the drainage criteria are and we will see if we can find a product that will work in your situation.